In the oil-water separation process shell is equipped with coalescence cartridges and separation cartridges, when the medium flows through its internal then there will be four processes-filtration, coalescence, settlement, separation, so as to realize the removal of moisture, medium alkali and organic acid salt soluble in water and etc. 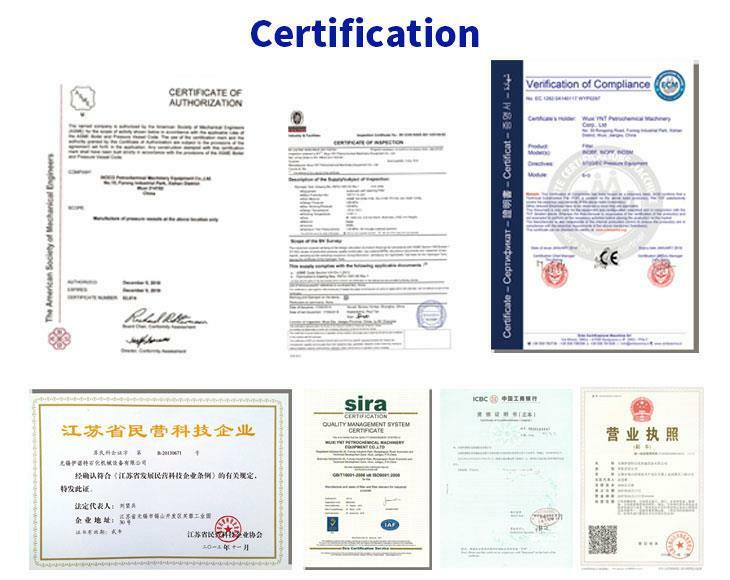 a. in order to extend the coalescence cartridges’ service life and improve the dewatering efficiency, recommend to add a pre-filter in the front of coalescence filter separator . 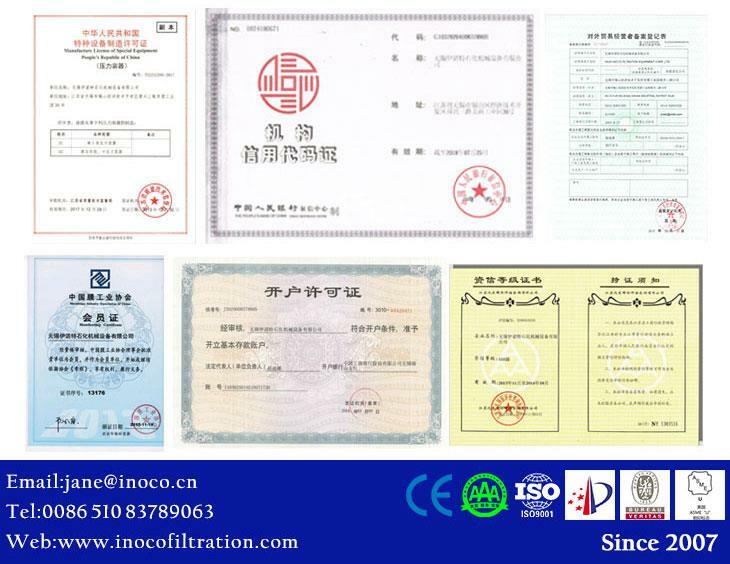 The main purpose of pre filter is used to remove medium large impurities and solid particles of iron oxide, iron sulfide and other harmful impurities. b. Each device is designed with a bypass, convenient in replacement cartridges, then ensure the system work continuously. c. There are 3 drain on the bottom of each equipment which is conducive to the dirt removal and impurity separated recovery.